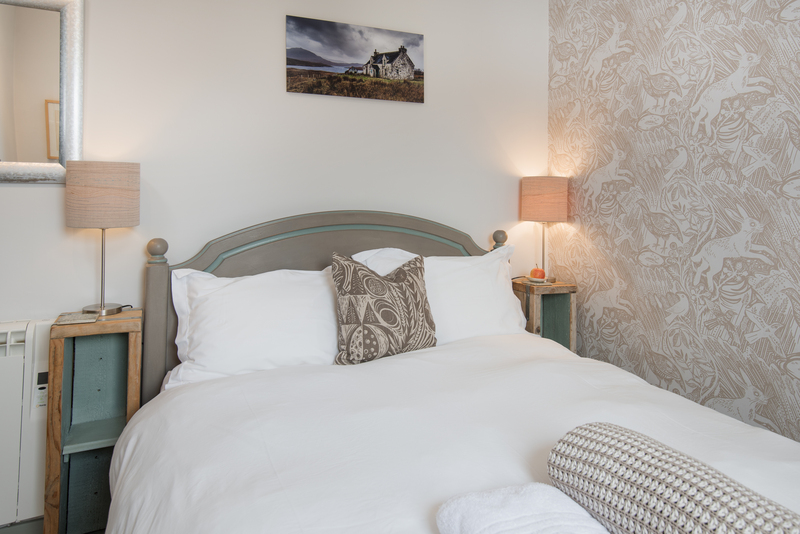 Most of us have very busy lives so we believe that you are entitled to treat yourselves to some comfort with a touch of style, all of our rooms have therefore been given a different local theme. 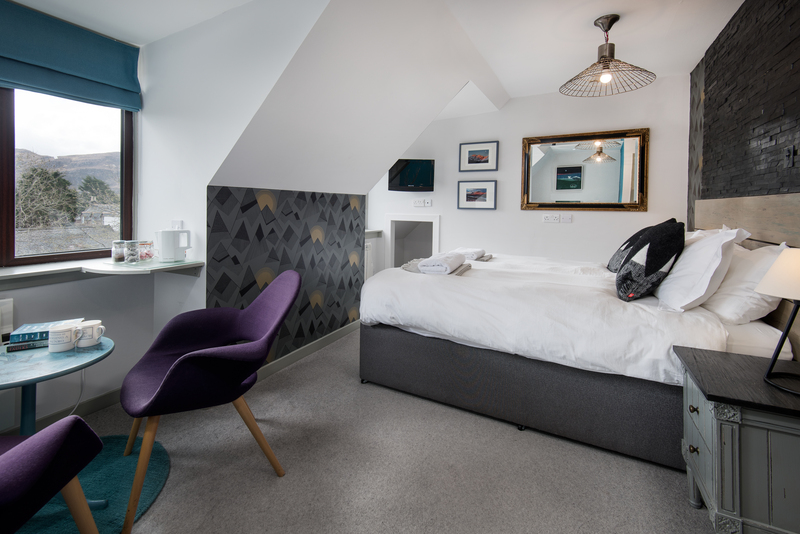 The bright and sunny bedrooms have large comfortable beds, quality egyptian cotton bedding, powerful drench showers,beautiful furnishings, local art.fresh coffee and tea, free wi-fi and tv. 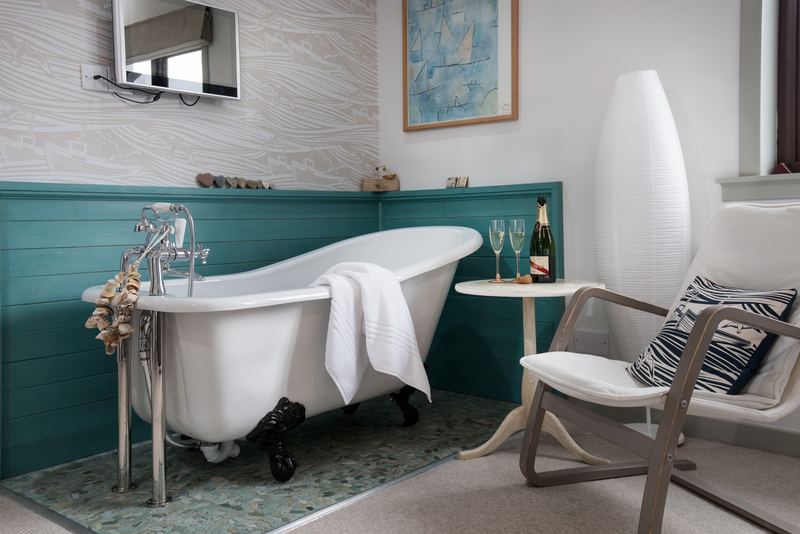 2 The Beach Room has a Super Kingsized bedroom with ensuite walk in shower room .A freestanding Victorian style bath in the bedroom adds charm and romance. 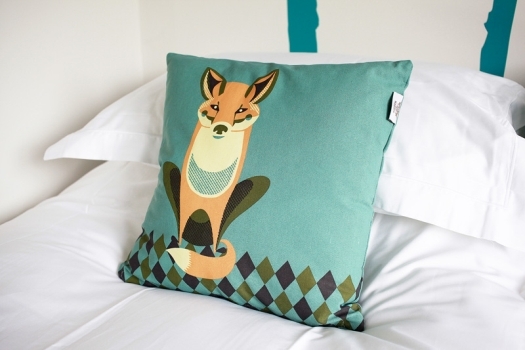 Perfect for a wedding night or romantic break. 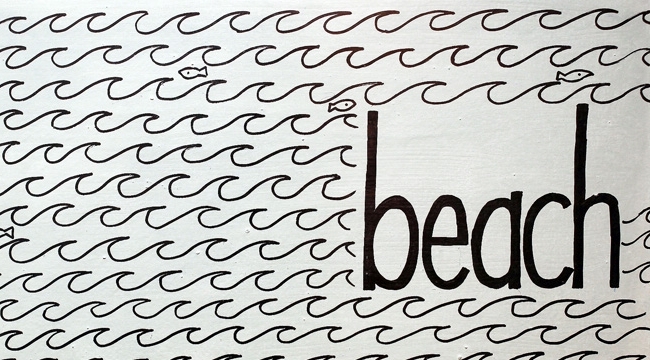 The bed can also be split into two singles. 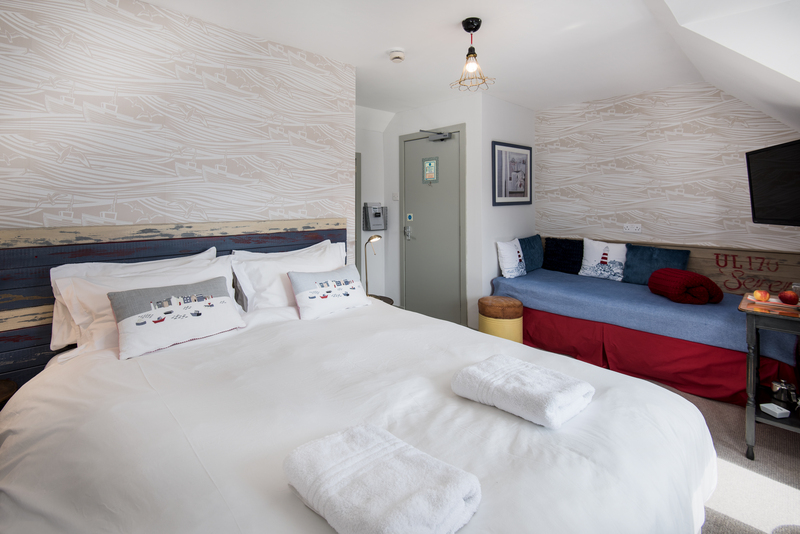 4 The Harbour Room has a Kingsized bed together with a single bed enabling three to share if required. This has an ensuite shower room. 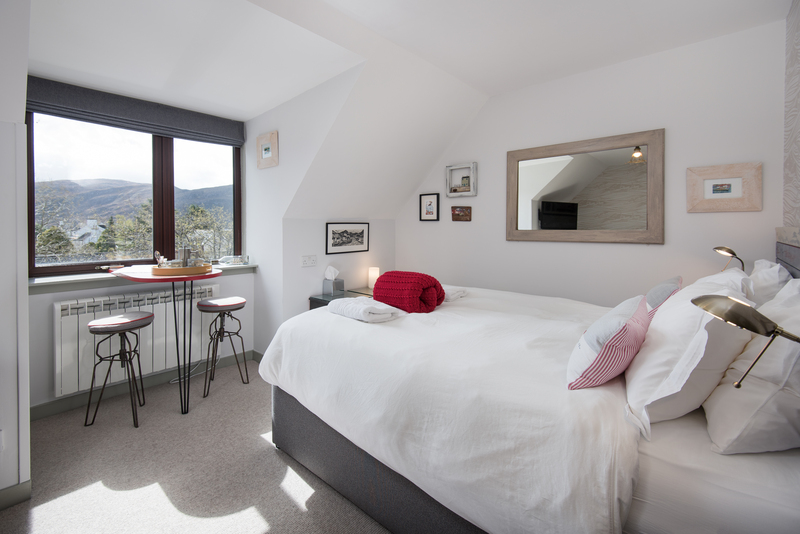 5 The Munro Room has a Kingsized bed with ensuite shower room.A freestanding Victorian style bath in the bedroom allows you to relax and gaze at the local hills. Again this room is perfect for a romantic break or wedding night. You must use stairs to access all of our bedrooms and we are happy to carry any bags up to and from your room. Bicycles can be stored in the lock up shed in the garden at the owners own risk. Access is available from 4pm on the day of arrival. Shirley and Terry live in their own accommodation at the rear of the property so will usually be available to assist you. The region is famed for large expansive, sandy beaches where you can be alone to enjoy the fantastic views and sounds. Those beaches have influenced the style of this large, bright and calming room and it is perfect for a wedding night or romantic break. 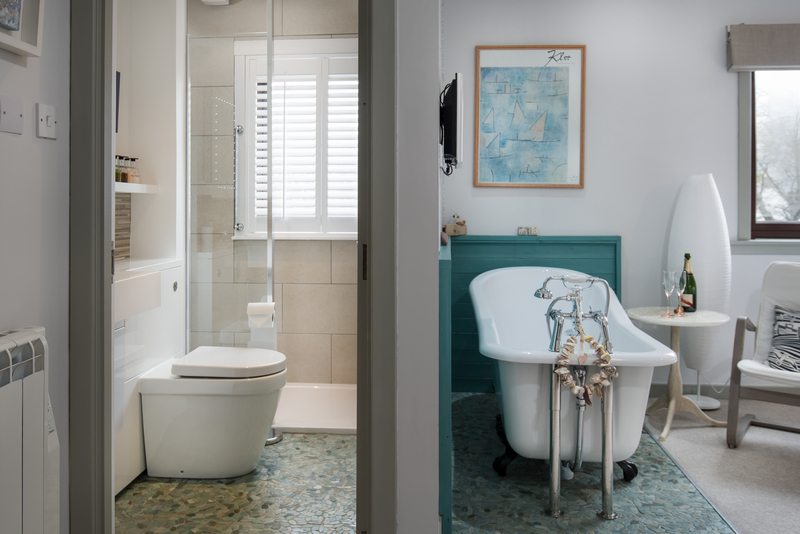 The super king sized bed allows you to stretch out and feel the quality of the bedding, whilst the Victorian style freestanding slipper bath adds a touch of romance and relaxation after a long day out in the beautiful local landscape. 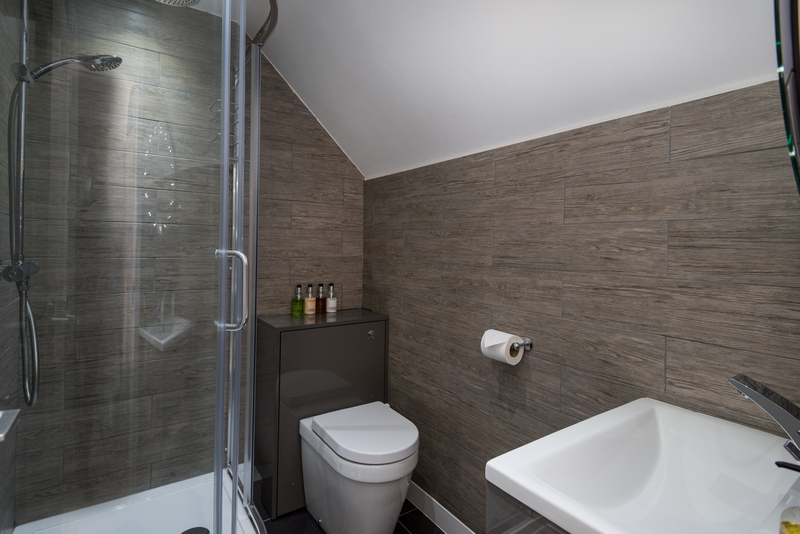 The high quality ensuite has a large walk in powerful shower, enclosed wc and fitted basin with plenty of room for your toiletries. If you would prefer the room as a twin, we can split the bed into two singles. 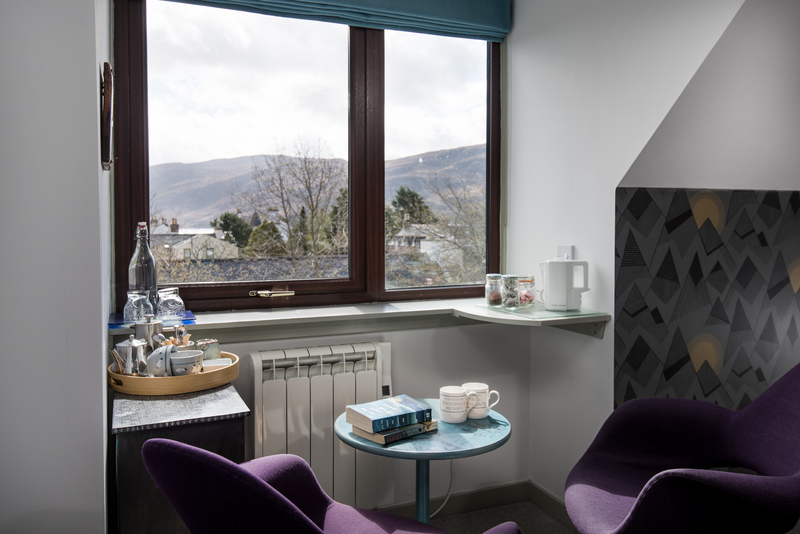 The room has fresh coffee and tea making facilities, local biscuits, fruit, free wi-fi access, tv, hairdryer and quality toiletries. 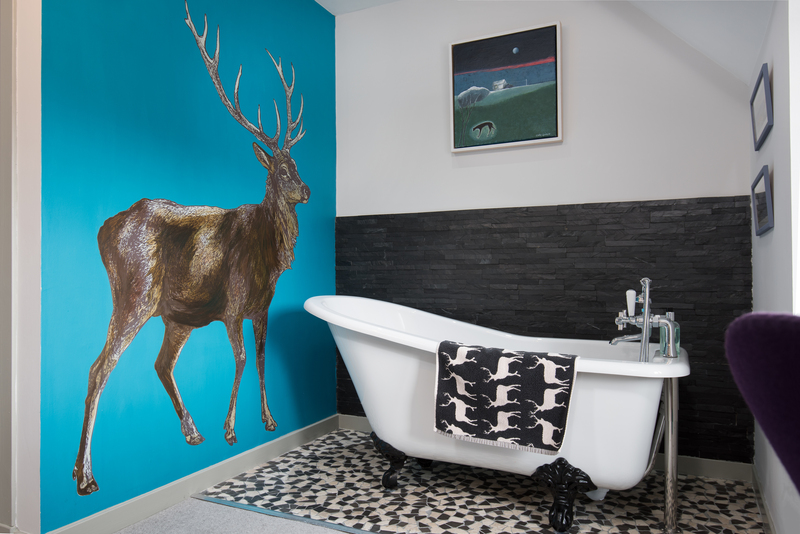 Crofts have always been a part of Scottish farming culture and this room responds to that theme. It is a compact room perfect for the single traveller, and because you deserve a room that gives you a good night sleep we have provided a double bed for you to enjoy. 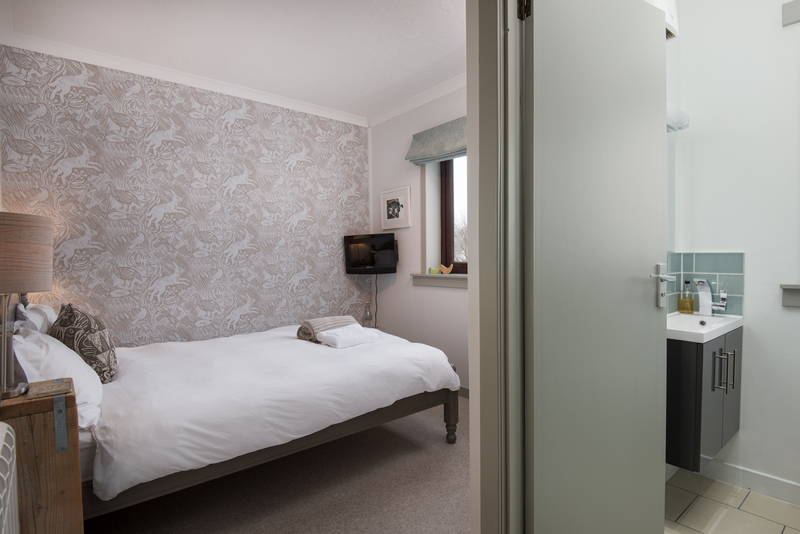 Because the room has a double bed we do give the option of it being used for double occupancy with guests understanding that this is our smallest room. 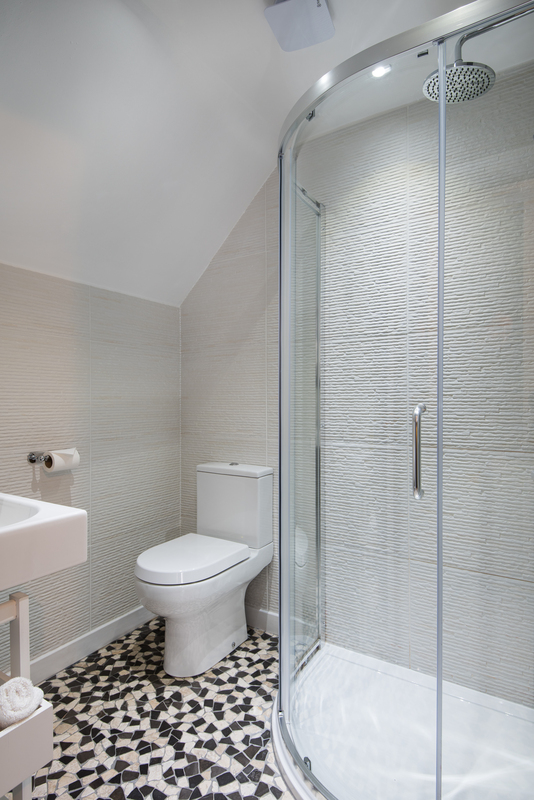 The contemporary ensuite room has powerful shower, enclosed wc and stylish basin with storage for your toiletries. 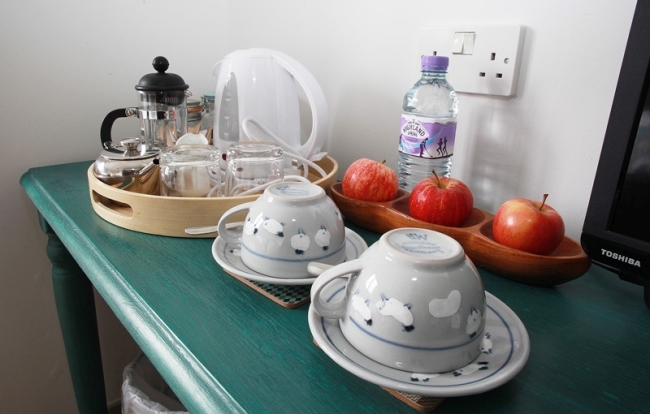 The room has fresh coffee and tea making facilities, local biscuits, fruit, free wi-fi access, tv/dvd player, hairdryer and quality toiletries. 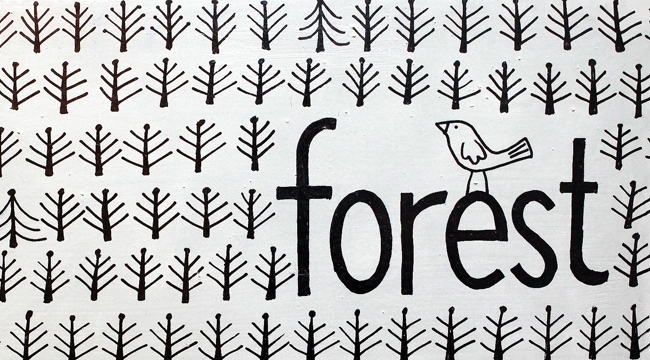 The Highlands are famous for the large expanses of forest and the contemporary style of the room responds to that theme. 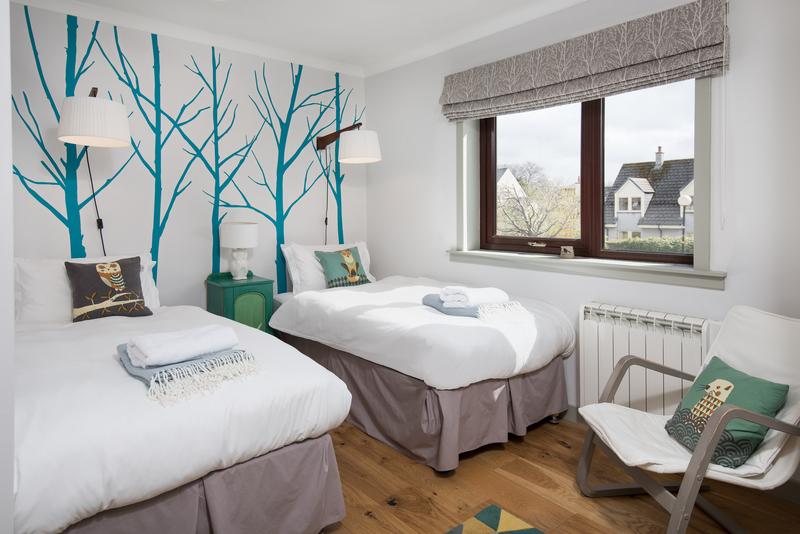 This room is perfect for friends or travellers wanting to share as you look out on the pretty tree lined street and village rooftops. 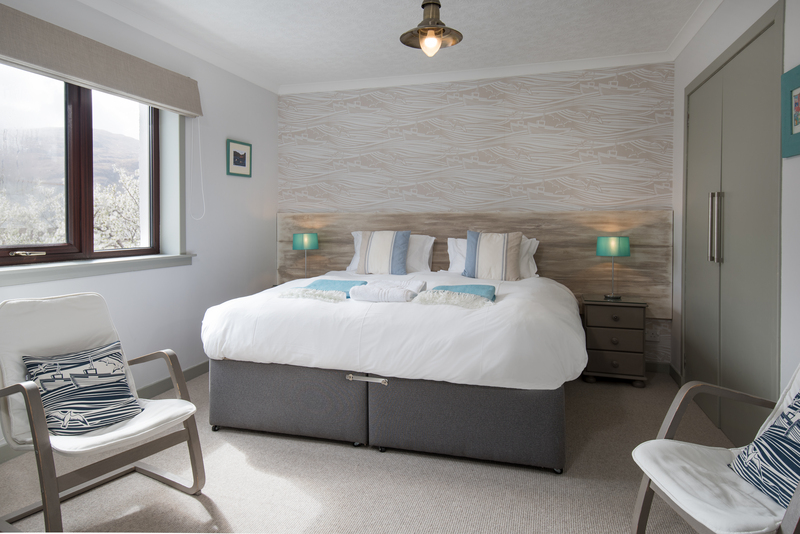 The twin room has two full sized single beds that can also be put together to form a superking double, oak timber flooring, 2 easy chairs and stylish wall mounted lamps. Ullapool is famous for it’s harbour. 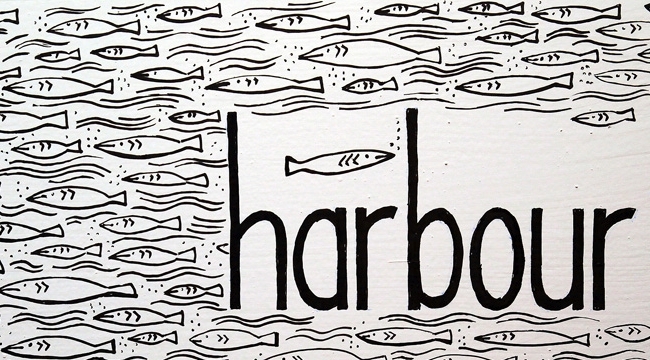 The harbour is still very much in use by the fishing industry and ferry to the Hebrides and the room picks this as it’s theme. The room is on the top floor and looks towards the harbour and loch beyond. 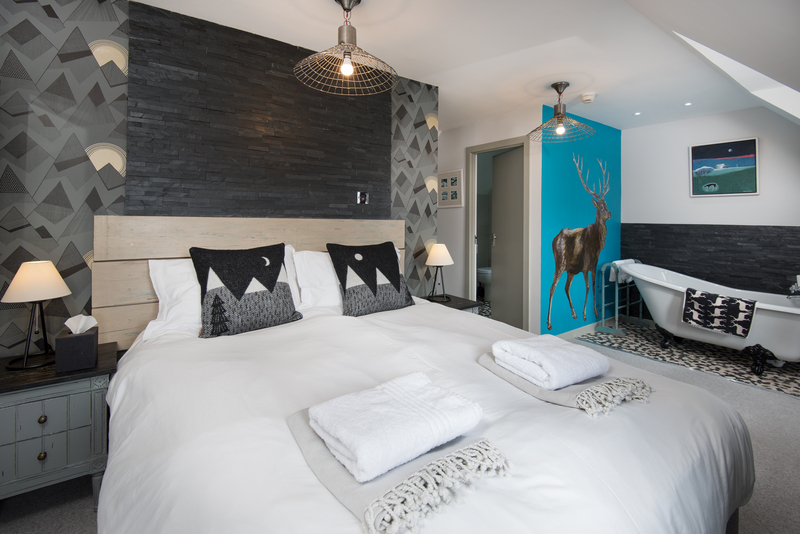 The king sized bed is positioned to be sure that you can enjoy watching the sun rise over the village and harbour. The room also has a full sized single bed that is used as a day sofa or it can accommodate a third person to sleep. 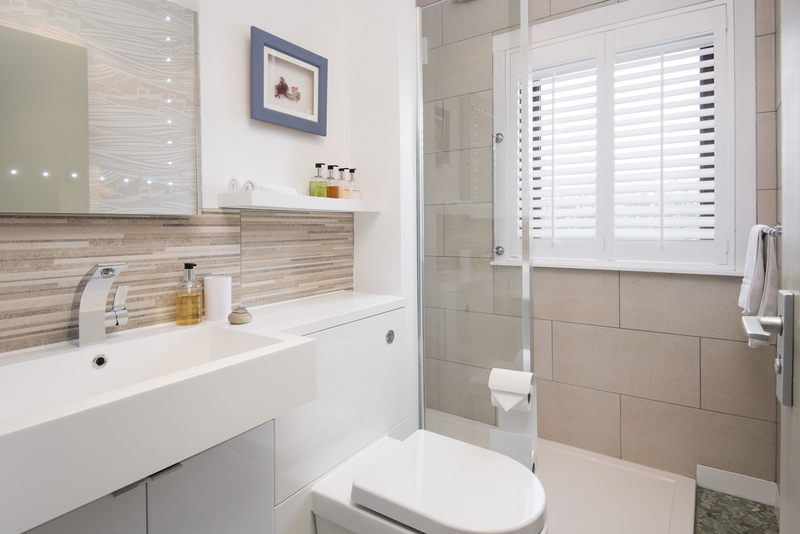 The high quality ensuite has a large shower cubicle with powerful shower, enclosed wc and stylish basin with plenty of storage for your toiletries. 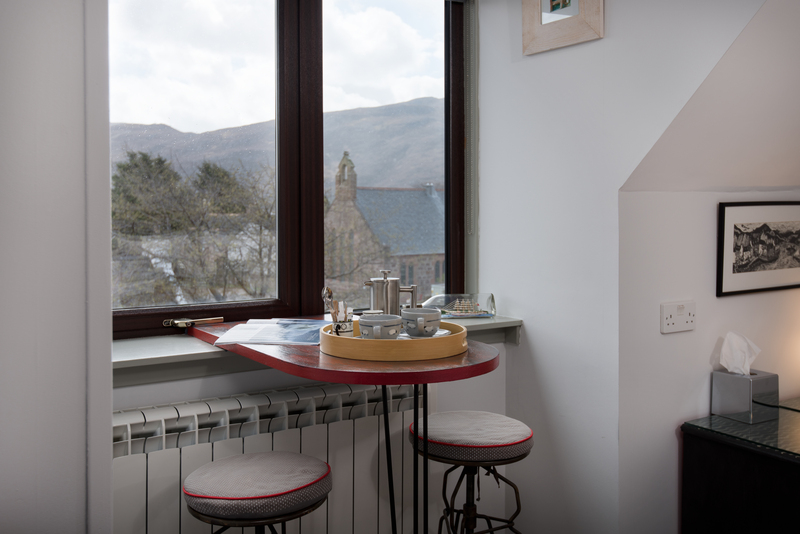 The room is provided with fresh coffee and tea making facilities, local biscuits, fruit, free wi-fi access, tv, hairdryer and quality toiletries. 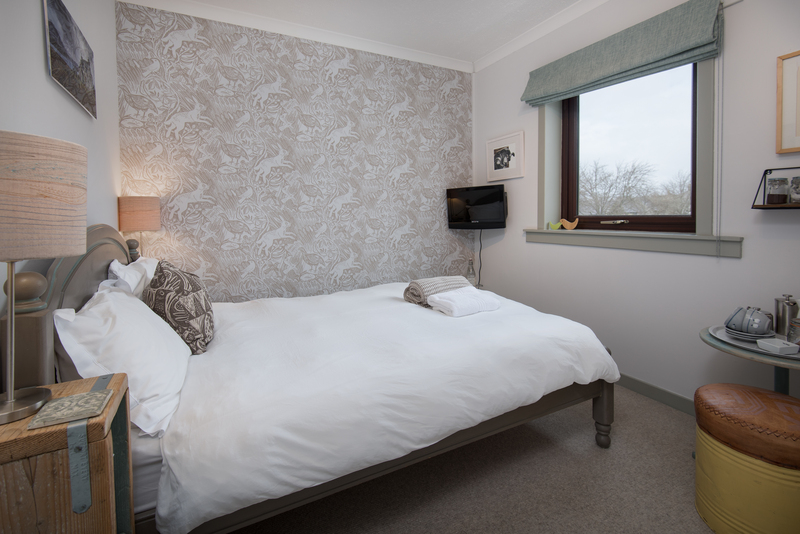 The Munros (Mountains) are the reason why so many people visit the Highlands and this room displays that rugged theme. 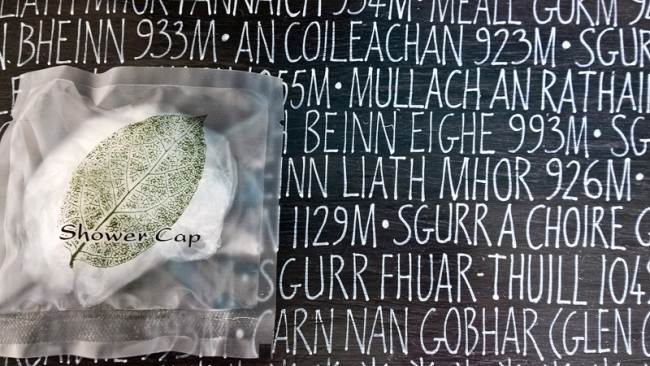 Sit in bed and look towards Beinn Dearg and the hills surrounding Ullapool, as the sun rises to greet another day. 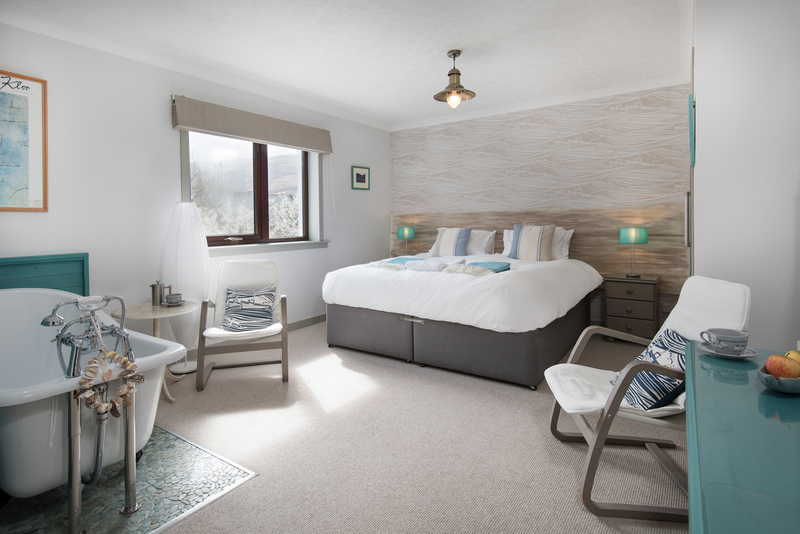 The comfortable king sized bed allows you the room to enjoy your stay, and the Victorian style freestanding slipper bath adds a touch of romance and relaxation after returning from that Munro. 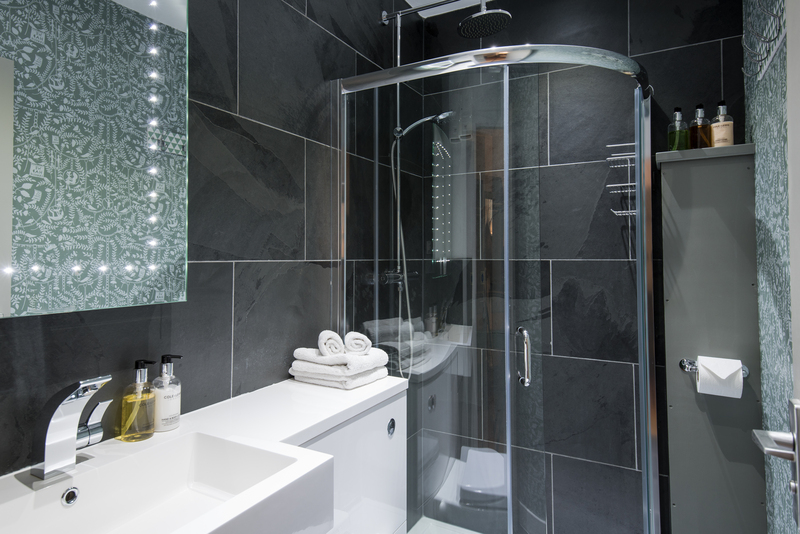 It is therefore perfect for a romantic break or wedding night. 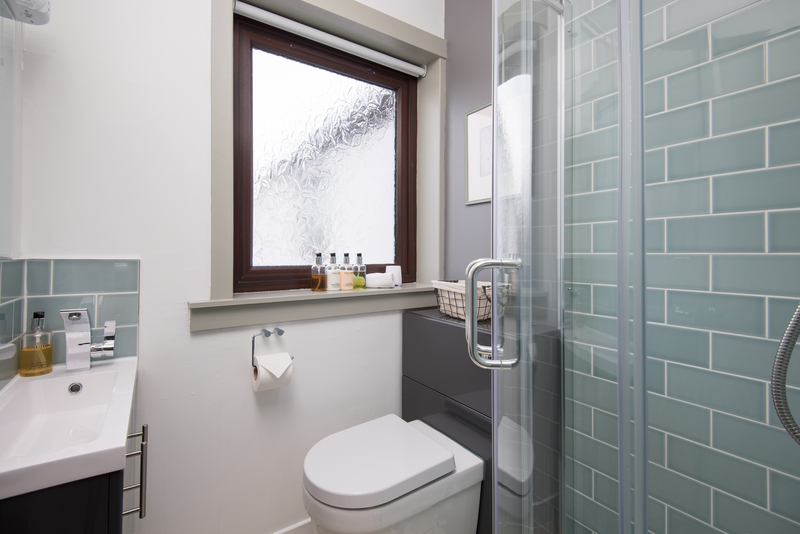 The high quality ensuite has a large shower cubicle with powerful shower, wc and stylish basin with plenty of storage for your toiletries.